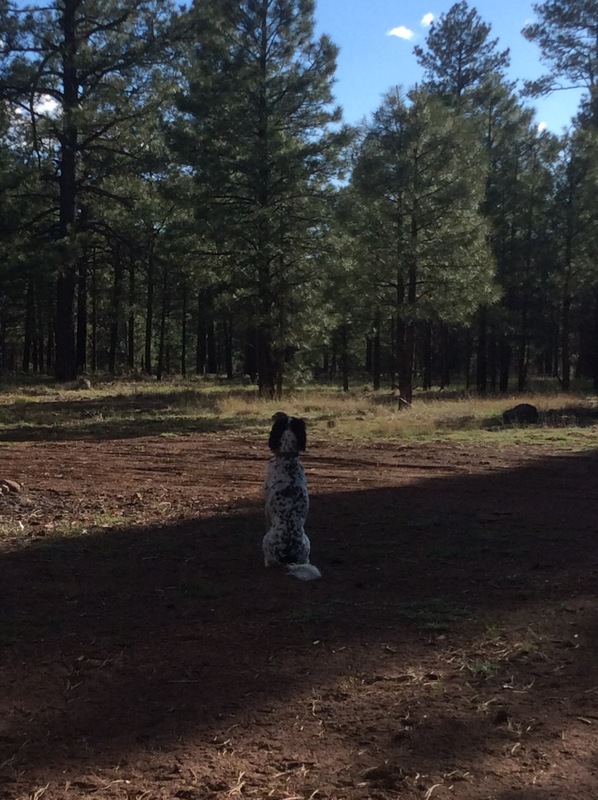 We camp in Coconino National Forest, maybe a mile down a dirt road. The elevation is somewhere between six and seven thousand feet. The forest is pine, beautiful, green and dry. There is dry grass all ’round. Wind rustles the trees but it is otherwise silent. Finn catches the scent of something and spends much of the evening sitting up straight in his “watchdog” position. The night is cold and we remark that the change is drastic from the Arizona desert just two days ago. We had our first mechanical mishap of the entire trip on the fifteenth of May. In the morning we noticed a squealing sound echoing of the guard rails on the passenger side. We thought that maybe it was a rock in the wheel. A few hours later, after visiting some ancient cliff dwellings, Paula noticed a vibration. I thought that it might be the road, but we pulled over at a gas station near Payson to check. The passenger front wheel had a pronounced wobble and was making clunking sounds. We secured a hotel room in Payson, and found a mechanic to the morning. Steve Miller and his young sidekick David got to work on the problem. It turns out that the wheel was about to fall off, as four of the five lugs from the spacer had snapped, and there was only one holding the entire wheel on. They were great getting it fixed, and to our total surprise, we were back on the road early that afternoon. 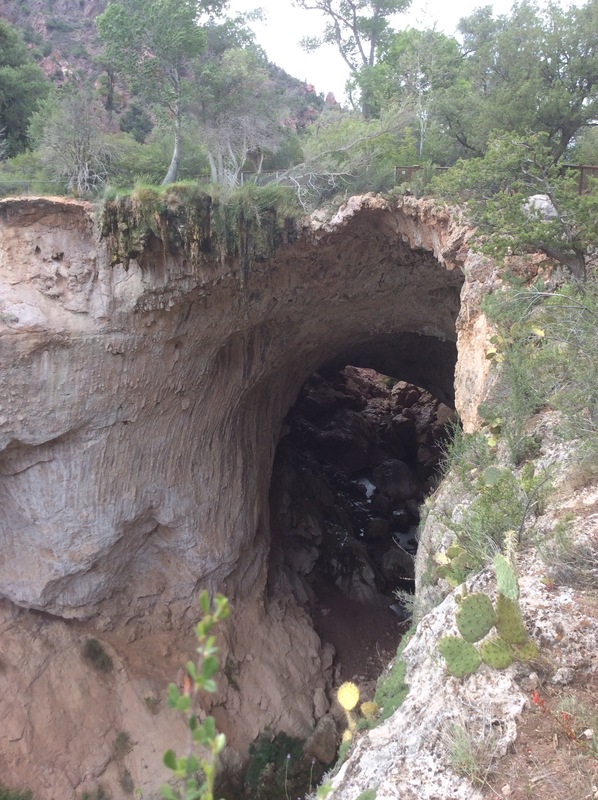 We visit the Tonto Natural Bridge state park and see what is claimed to be one of the largest natural bridges in the world. It was pretty impressive. In the middle of the night we are startled awake by the daemonical cries and yelps of a pack of coyotes. We had heard them earlier but they were far away. Now they are close, quite close. The dog jolts. I do too. The hair stands on the back of my neck, even though I am laying sideways in bed. They are so close and they are screaming and wailing as though thy have just caught the scent of fresh blood, our blood. There is frost on the truck in the morning, and the coffee is more satisfying in the cold morning air.